Till now we have discussed so many times about the online food delivery system, its advantages or benefits, how this system is helpful for the restaurants owner for their business growth, how a restaurant owner can engage more customers through an online ordering system and many more. 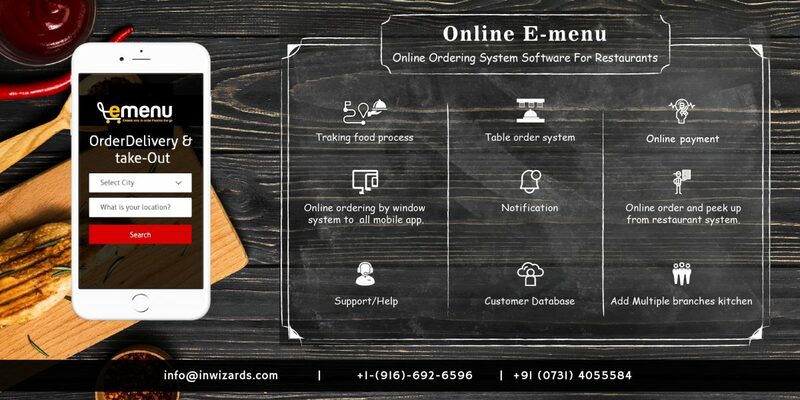 This time, we are going to take you to a working tour to our highly in demand software application Online Ordering System. This application is works under the phenomena of five key terms. After the successful installation of this application into their smart devices, at first, a customer need to make their profile along with their name and contact details to receive the order. Now a customer is allowed to browse the entire food menu list of a particular restaurant to order thier meals from any location of the city. Trust us this is a very simple and easy to use procedure to order food online. Once a customer have placed the food order online and submit it, then it will automatically go to the branch manager or the restaurant’s admin penal for the next step which is to make the yummy meal to the restaurants kitchen section. Whenever the food order that was submitted by the customer, is approved or confirmed by the branch manager or the admin panel of the restaurant, will auto divert to the head chef of the kitchen department of the restaurant, for the making of the dishes based on the customers submitted quantity and required flavor. After finely cooked, garnished and packing of the food, the kitchen department informs the admin panel about it, so that they can move forward with the order to the next step and assign it to the respective delivery person to pick the order form the restaurant and send it to the customer at their mentioned address. When the food pack is assigned to the delivery boy, then they are responsible to send it safely to the requested customer. A customer can receive their order from the respective food delivery guy, they are granted to track the entire procedure of their ordered food. Besides this, a customer can also be able to track the real time location of the delivery person who is coming to them with the food. Previous Previous post: Have you book an online ordering system yet or not?